Sachin Waikar writes for individuals, businesses, and universities. He has co-written or edited books and articles for HarperCollins, FT/Prentice Hall, Palgrave Macmillan, Jossey-Bass, Harvard Business Press, Oxford University Press, Harvard Business Review, Academy of Management Journal, and Administrative Science Quarterly, among others. 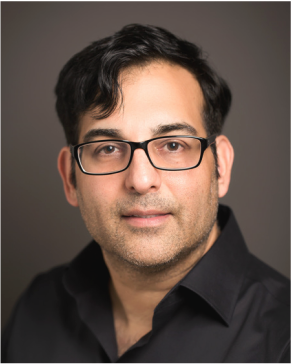 Sachin’s award-winning writing appears or is forthcoming in national magazines including Esquire, Amazon Day One, Parents, Highlights and several published anthologies; his screenwriting has placed in HBO/Miramax’s Project Greenlight and been nominated for an ABC/Disney Talent Grant. Previously, Sachin worked as a strategy consultant for McKinsey & Company in sectors including pharmaceuticals, retail, insurance, and wireless technology. A member of Phi Beta Kappa, Sachin earned a B.A. in psychology with honors and distinction from Stanford University and a Ph.D. in clinical psychology from UCLA. Questions, requests, suggestions, random thoughts? Contact me here.